Frankly, dentistry gives me the creeps. So my fascination with dental tools may be of the morbid variety. 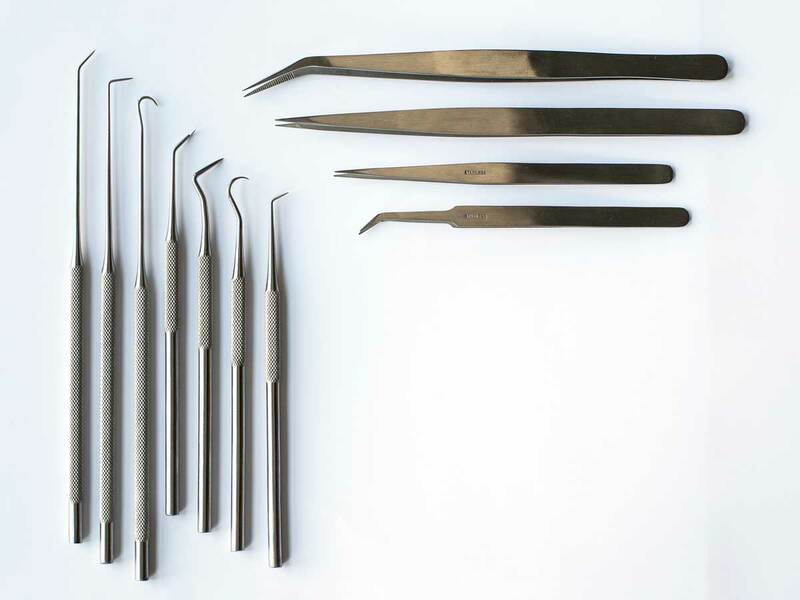 Nonetheless, when I saw this set of consumer-priced dental picks and tools from Duluth Trading, they began to whisper to me. I had to have them. The tweezers are perfect for arranging tiny electronic components for product photography, and the picks help clean stray glue, dust, and other schmutz from projects before shooting. They are super sharp, so you need to be careful about scratching softer materials, including yourself.